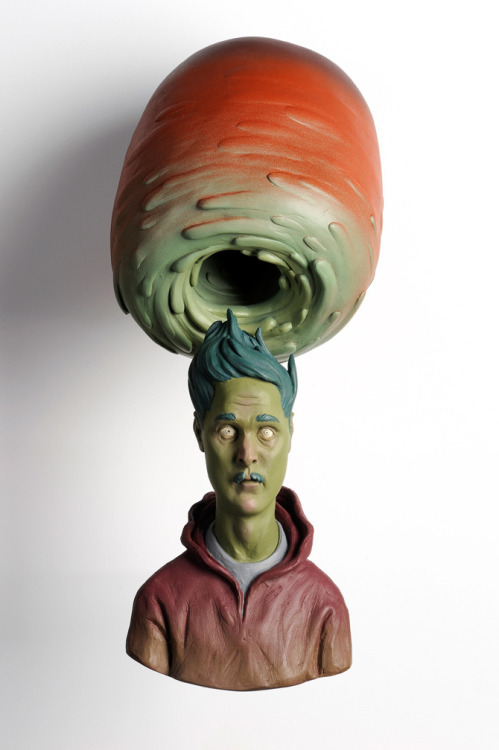 Canadian sculptor Troy Coulterman (featured in our current issue, Hi-Fructose Vol. 27) recently opened a solo show at Subtext Gallery in San Diego, CA on June 21. Turning mundane observations into absurdities, Coulterman presents a series of figurative sculptures that exaggerate the personal quirks and offbeat features we might notice about other people in passing. Working primarily with acrylic paint, resin and steel underpinnings, Coulterman creates a vivid, color-satured cast of characters, inviting us to draw connections between these solitary figures. Take a look at some of the work in the show below and check out the exhibition through July 21.